Hunchback of Notre Dame Event homeCustomer reviews HamiltonThe PromNetworkTo Kill a MockingbirdKiss Me KateHadestownOklahoma! 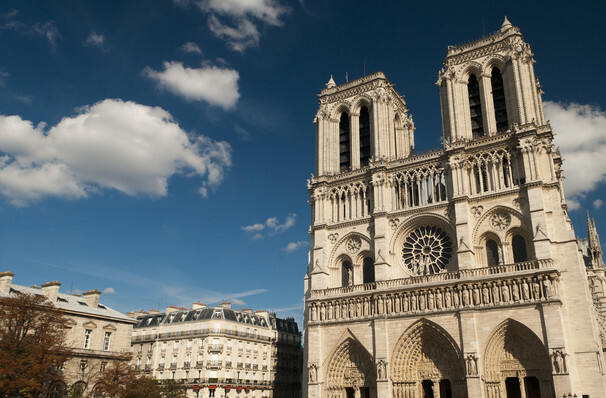 A high-flying tale of acceptance, romance and danger set amidst the rooftops of fifteenth century Paris, The Hunchback of Notre Dame has fascinated readers and audiences since Victor Hugo's gothic novel debuted in 1831. Now the beloved tale enjoys a local musical revival after its critically acclaimed regional debuted at New York's White Plains Performing Arts Center in December 2017. An amalgamation of Hugo's story and the 1996 Disney film, this Hunchback of Notre Dame is an ambitious hybrid of the darker novel's plot line and the animated adventure's Oscar-nominated score, written by composer Alan Menken and lyricist Stephen Schwartz. The story follows Quasimodo, the deformed bellringer of the Notre Dame Cathedral who longs to be part of the revelry in the streets during the Feast of Fools. When he plucks up the courage to go against his begrudged caretaker justice minister Claude Frollo's wishes and joins in the festivities, he is treated with scorn by all those who set eyes on him, save for the beautiful gypsy Esmerelda. Her beauty enchants not only Quasimodo, but attracts the attentions of Captain Phoebus and Frollo himself, whose jealousy sets off a harrowing chain reaction. Sound good to you? 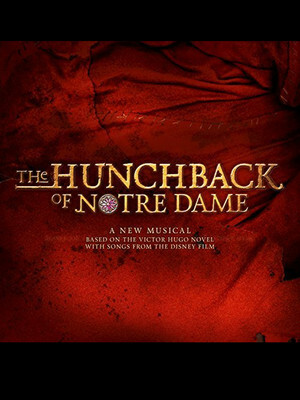 Share this page on social media and let your friends know about Hunchback of Notre Dame at Count Basie Theatre. Please note: The term Count Basie Theatre and/or Hunchback of Notre Dame as well as all associated graphics, logos, and/or other trademarks, tradenames or copyrights are the property of the Count Basie Theatre and/or Hunchback of Notre Dame and are used herein for factual descriptive purposes only. We are in no way associated with or authorized by the Count Basie Theatre and/or Hunchback of Notre Dame and neither that entity nor any of its affiliates have licensed or endorsed us to sell tickets, goods and or services in conjunction with their events.